After the conference’s dinner, the Producer Showcase began at 7:00 PM. Mr. Joe Hatton, was moderator. Ms. Jennifer ‘Tootie’ Jones, owner and operator of Swift Level Farm, Lewisburg, WV presented Seasonal finishing and the market trends, All Grass Beef. She gave us the history of the farm. Her family moved to the farm in 1843. Greenbrier County, WV is in Karst topography (A landscape formed from the dissolution of soluble rocks such as limestone, dolomite, and gypsum. It is characterized by underground drainage systems with sinkholes, dolines [depressions formed above caves], and caves.) Petrified coral is found in streambeds there. The farm is situated on land that was a savanna when the family moved there. Cherokee Indians were the original inhabitants and were still present in 1843. Drovers herded cattle from Greenbrier County to Baltimore. Jennifer grew up on the farm but then went west to live for a number of years before coming back east to live and work in Pennsylvania for awhile. She worked at an embryo transplant farm there. It took her about 20 years to get title to the farm as it had been bequeathed to her and her siblings. She worked with the Natural Resources Conservation Service to develop a conservation plan for the farm and install conservation practices. For awhile, she raised corn, hay, and cattle at the 151-acre farm. An Iraqi wounded warrior convinced her to raise cattle. She had been into horses. She went to all grass beef and set up a rotational grazing system on the farm. She also developed a brand of grass-fed beef called Swift Level Farm & Cattle with a logo. Her main forages are bluegrass, white clover, red clover, orchardgrass, tall fescue, alfalfa, and timothy. She has over-seeded perennial ryegrass and crimson clover by frost crack seeding to introduce two more forages into the mix. She rotates her feeder cattle by nature, not by calendar days, moving them when they signal it is time for them to move to fresh grass. 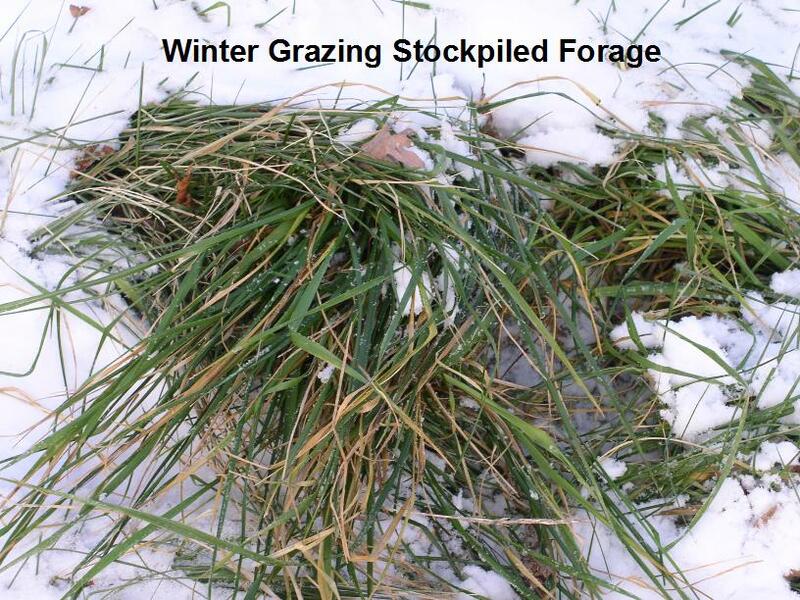 She moves winter feeding to fields or areas of a field that need the additional nutrients that the waste hay and manure from the animals leave behind. Hay is contract harvested by a neighbor. She buys weaned calves from a local farm so hers is strictly a grass feeding operation. The calves come in at slightly over 500 pounds and are slaughtered at 1350 pounds. These feeders are marketed at 30 to 36 months of age. Forty feeders are processed per year; a few each month so that her customers can order it fresh cut if they desire rather than frozen. The meat is hand cut and trimmed of excess fat. The beef is aged for a minimum of 40 days but longer than that in wintertime. Most of the feeders are Angus, but color is not important to her. The beef is cut and packaged at a USDA inspected processing plant in Roanoke, VA. The beef is sold by the pound and packaged vacuum sealed. She takes time to educate the consumer on the cuts of meat. Philly cheese steak meat currently sells for $9.99 per pound under the farm’s label rather than $7.99 for unbranded meat. Ms. Jones wanted to make sure that she told us that NRCS needs field technicians rather office computer-bound people. She has valued the field work that NRCS has done at her farm. Mr. Gary Walls from Bruceton Mills, WV was the next farmer to make a presentation. It was about his award winning pasture-based farm and was entitled, Managing livestock, grass, and water in a rotational grazing system. This farm had been a dairy farm, but they switched to beef cattle. There is a 130 acres of grassland for pasture and hay production on two farm tracts. The two farm tracts are near Cooper’s Rock State Park. They run 65 Limousine-Angus cow/calf pairs on their pastures now. A neighbor does the hay making. Gary devotes all his time to managing his cows. He has bred 60% of the cows using artificial insemination (AI), but will increase the percentage to 75% this year. Predators to watch out for are bears, coyotes, and vultures. He divides his pastures up into 3- to 4-acre paddocks. The cattle are rotated to a new paddock about every 3 days once the grass is grazed down to a 4-inch stubble height. The pastures are native grasses that have naturalized there similar in composition to the Swift Level farm. One of his photographs showed a very nice mix of grasses and clovers. When the pasture forage grows faster than the cattle can eat it rotationally, some of the pastureland is cut for hay. He follows an adage of old timers of feeding hay in the summer when cool season forage production is low and stockpile fescue for winter grazing. The home farm has two pastures that are eleven and twelve acres that are stockpiled for winter grazing. When the snow gets deep, he rolls out round hay bales for them to eat. Since increasing the herd size, he will use two other nearby farms to graze while stockpiling more tall fescue on the home farm for winter grazing so that the whole herd is back at the home farm where he can keep a watchful eye on them. He has a varied water system for his pastures. He has Ritchie freeze-proof water fountains. As needed he tears down the fountains and washes them with bleach to keep them free of algae. He also has construction machinery tire troughs that are set in concrete. The tire troughs are fitted with Jobe valves with floats. He has found a problem with the tire troughs. The cattle can work the tires out of the concrete pad that they are sunk into. He uses public water and private well and pump. The water is piped to the fountains and troughs. Four waterers provide water to 22 cows on the farm tract owned by his Father. He likes the flexibility of his pipeline distribution system. He also has a system of laneways. Some sections, 150 to 200 feet long, are paved with stone. The paved laneways are used to move cattle in heavily used lanes, move hay into paddocks in the winter, and load cattle onto trucks or cattle trailers without creating ruts or getting mired down in wet weather. Mr. Walls belongs to the Morgantown Calf Pool that has 14-15 members. They shipped 3 trailer loads of feeder cattle this past season. Red cattle are docked twenty cents per pound. He recommends crossbreeding Angus to Herefords and Herefords to Angus either with bulls or by AI to get mostly black calves (black baldies [white faces]). With AI, heat detection of cows by the farmer is critical. However, some cows do not show heat. Giving them GnRH (gonadatropin-releasing hormone) induces ovulation so that AI can be done at the right time to get conception. Mr. Walls is cooperating with West Virginia University to test methods of controlling autumn olive, a very invasive shrub that was released as a wildlife habitat plant material. It is particularly invasive in WV and Virginia. Mr. Walls is extremely pleased with his rotational grazing system and sees the need for many more rotational grazing systems on many of WV pastures. Mr. Joe Hatton, the moderator for this session, wrapped up the Producer Showcase by giving a presentation about his 40-acre farm near Morgantown, WV. His presentation was Using livestock as a pasture management tool. Mr. Hatton runs 50 brood cows and 45 ewes on the home farm and on 7 to 9 nearby farms that he has a grazing arrangement with. He has found that cows are good brush and small tree controllers. In the fall of 1999 he had a large area on his farm that was beginning to revert back to forest. There was a variety of woody plants growing on it: hawthorn, tree of heaven, multiflora rose, autumn olive, yellow locust, and blackberry. There was also a heavy infestation of goldenrod. He showed us a picture of the area back in 1999 and then a recent picture after the cows had helped restore the site back to grassland. It was a striking contrast. The plant life cycle is important; as timing is critical in eradicating unwanted plant species. Tree of heaven is one species that can get tall and require being cut down. However, cows will eat the leaves and twigs so there is some forage value to even more mature trees. There are three main types of brush control: mechanical - brush hogs and chippers, chemical - such as Ally and Crossbow herbicides that are sprayed on brush, and biological - cows and goats. Brush killing chemicals were used to eradicate multiflora rose, but it is not so much a problem in WV anymore due to rose rosette disease. The cows are the heavy equipment in biological control. Round bales can be pulled into brush to get cows to level the brush and destroy it in order to get to the bale of hay and eat it. Alfalfa bales, he has found, provide an incentive to cows to clean-off briar patches. These areas then can be seeded to grass and legume mixtures to quickly restore the grassland. Two of his favorite forages are ladino clover and Benchmark orchardgrass. He too uses short duration rotational grazing. 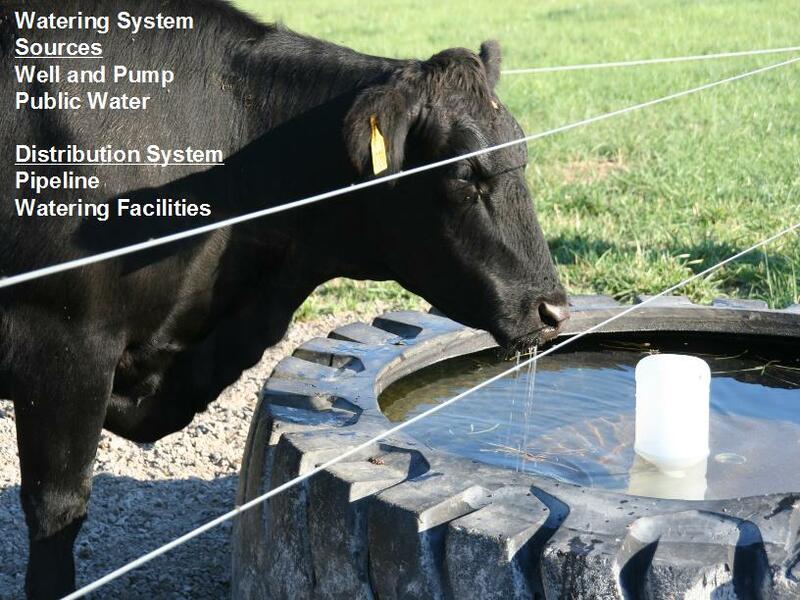 He provides water to his live-stock using Rubbermaid troughs that are connected to a pipeline with a quick connect coupler. He noted that in WV 80 percent of the farmers work off the farm as he does.